LAS VEGAS - Boxing champion Floyd Mayweather Jr was acquitted Wednesday of charges he threatened to send armed friends to harm two security guards at a gated community in suburban Las Vegas. 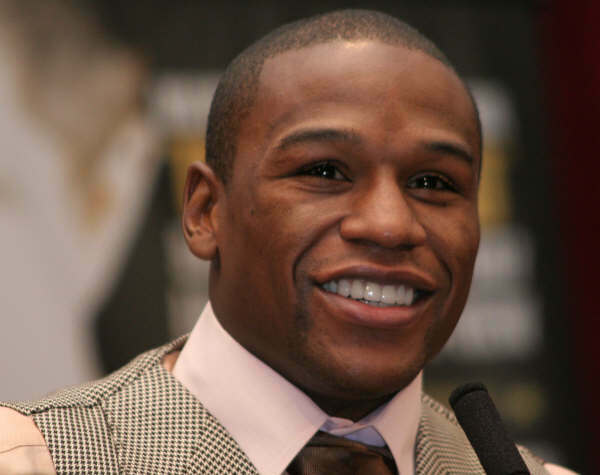 Mayweather, undefeated in 42 bouts and widely regarded as the best defensive fighter of his generation, was found not guilty by a judge, court records showed. The ruling said prosecutors failed to meet the burden of proof. The boxing star was charged with misdemeanor harassment stemming from accusations a year ago that he threatened the guards by saying his “homies” had guns and would be called to “take care” of the two men, according to the criminal complaint. “This was a homeowner’s association dispute that got blown out of proportion,” his lawyer, Richard Wright, told Reuters. Mayweather was angry at the guards and raised his voice but never threatened them, Wright said. There was no comment from the district attorney’s office. Wright said the confrontation took place after the guards in the community stuck citations on windows of vehicles parked in front of Mayweather’s home because visitor passes were not visible on their dashboards. The flamboyant Mayweather, known as “Money,” boosted his professional record to a perfect 42-0, including 26 knockouts, with a fourth-round knockout of Victor Ortiz in Las Vegas last month to claim the World Boxing Council welterweight title.